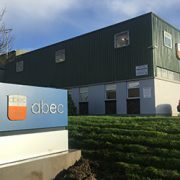 China has accredited ABEC to make and supply bioprocessing equipment from its Kells facility in Ireland. We provide integrated solutions and services for biopharmaceutical manufacturing. Sign up today to be the first to be notified of ABEC news and industry developments!